No viable UK export business should fail because of a lack of finance or insurance from the private sector; and more firms could embrace the business opportunities available in Malaysia. 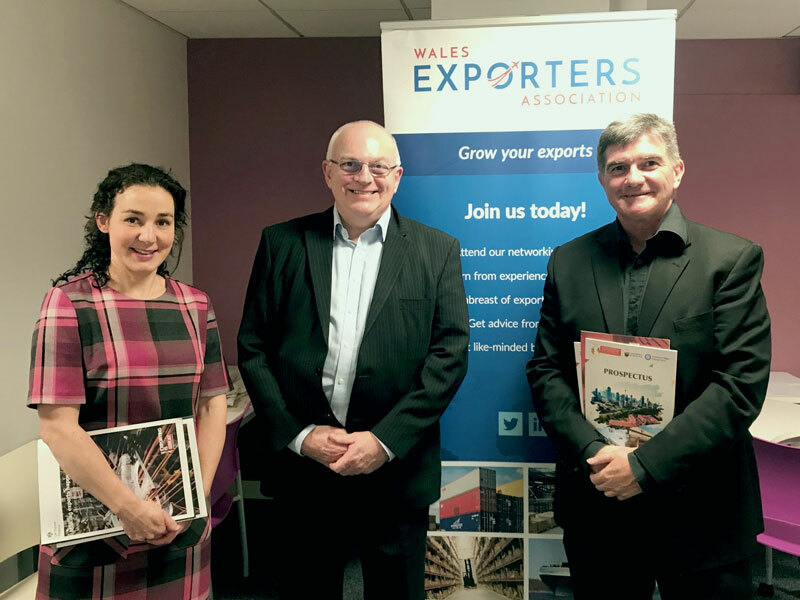 That was a key message from Christian Syme, Export Finance Manager covering Wales for UK Export Finance, who spoke at a Wales Exporters Association event in April held at the UWTSD Business School. The overall event was designed to encourage Welsh businesses to consider the business opportunities that exist in Malaysia and how trading with this country can provide businesses with a great opportunity to enter the wider Asian markets. Using Malaysia as an example, Syme explained to delegates how UK Export Finance can help businesses win contracts to trade and export overseas. She said that the body can give overseas buyers attractive long-term financing, allowing UK exporters to construct a more competitive offering. “UKEF’s mission is to ensure that no viable UK export fails for lack of finance or insurance, while operating at no net cost to the taxpayer. In the last five years UKEF has provided over £26m of support for Welsh exporters resulting in £240m of Welsh Exports,” Syme said. The event also featured speaker Stephen Griffiths, Deputy Vice Chancellor of The International University of Malaysia-Wales (IUMW) and formerly Assistant Dean of the Faculty of Business and Management at UWTS. Griffiths spoke in detail about the cultural differences between the UK and Malaysia. He noted that the county has the world’s largest workforce, is investing heavily in high tech industries, infrastructure and education and offers a friendly environment in which to do business. “It is such a welcoming country I don’t understand why more British/Welsh companies are not doing more in Malaysia. We should be out there,” he said. The Exporter’s next event will cover business opportunities in Japan and take place on May 30.